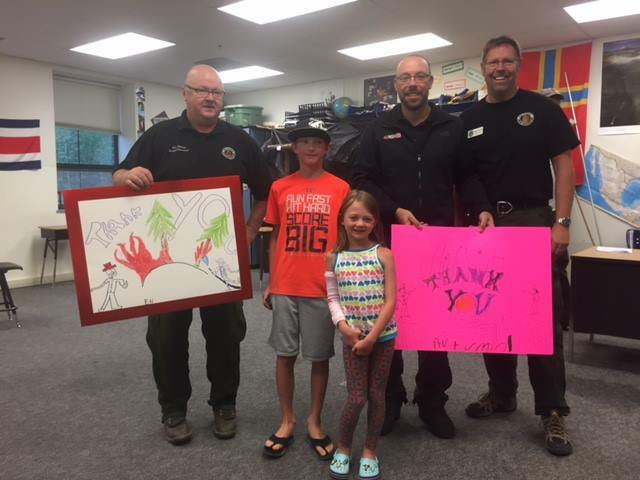 Staff from the Colorado Department of Public Safety were busy supporting local and federal responses to seven separate wildfires burning across the state in July, including the Peak 2 Fire near Breckenridge. Division of Fire Prevention and Control (DFPC) personnel served in different capacities on the fires' incident management teams; Fire Management Officers, firefighters, engines, aircraft and a Public Information Officer all supported wildfire response efforts. 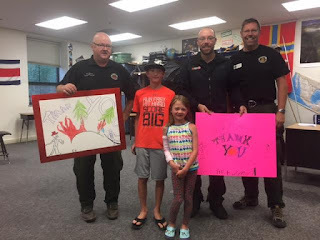 Regional Field Managers and Field Services staff from the Division of Homeland Security and Emergency Management (DHSEM) provided direct support and technical assistance in Summit County to help coordinate the Peak 2 response and resources. The State Emergency Operations Center activated to provide operations, logistics, planning, GIS, and strategic communications services. Troopers with the Colorado State Patrol assisted with road closures and public safety. Meanwhile, these agencies continued to deliver ongoing preparedness operations, trainings, and long-term recovery services. DHSEM staff from Field Services, Recovery and Strategic Communications partnered with the Small Business Administration (SBA) and local jurisdictions on a program to help Colorado communities recover from hail storms and fires earlier this spring. In Jefferson County, Cory Stark, Robyn Knappe and her team worked diligently with local businesses to position them to receive additional support from the SBA from the recent hail storm. In Montezuma County, Trevor Denney and the Recovery team have been assisting with damage assessment for SBA and state agency assistance. And in Lakewood, Recovery staff worked on providing support to residents of an apartment complex where the roof collapsed. Responding to disasters and helping people recover from them doesn’t put a halt to the Department's proactive work preparing Colorado communities and agencies for the next one. The Office of Preparedness participated in two Preventative Radiological Nuclear Detection (PRND) Training & Exercises in June. The first, held June 20-21 in Eagle County aimed to familiarize local responders with the PRND program, demonstrate operational support to a special event/heightened security event and provide a training opportunity for the National Guard's 8th CST. 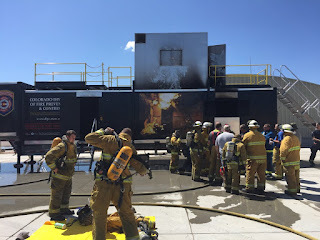 The second, held June 29 in Fort Collins, engaged about 60 participants, including Colorado State University and Wyoming Civil Support Team. Fran Santagata supported both. 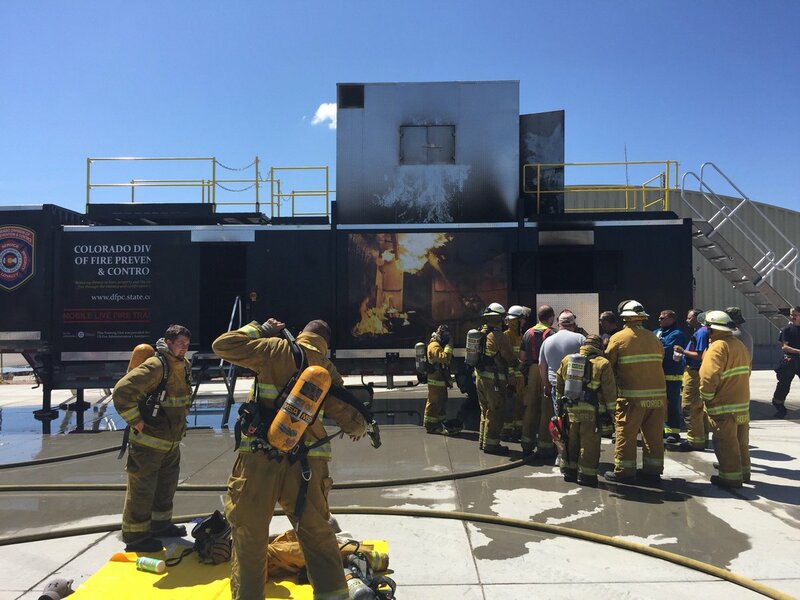 The DFPC Training Section continued to deliver potentially life-saving training to local firefighters, including live-fire training using the Division's Mobile Live Fire Training Unit.